His Excellency Prime Minister Dr. Haider Al-Abadi has confirmed that Iraq's support for the Arab League, Calling for strengthening its role in stopping conflicts and crises and its ramifications on the States of the region and preserving the supreme interests of our States and peoples. 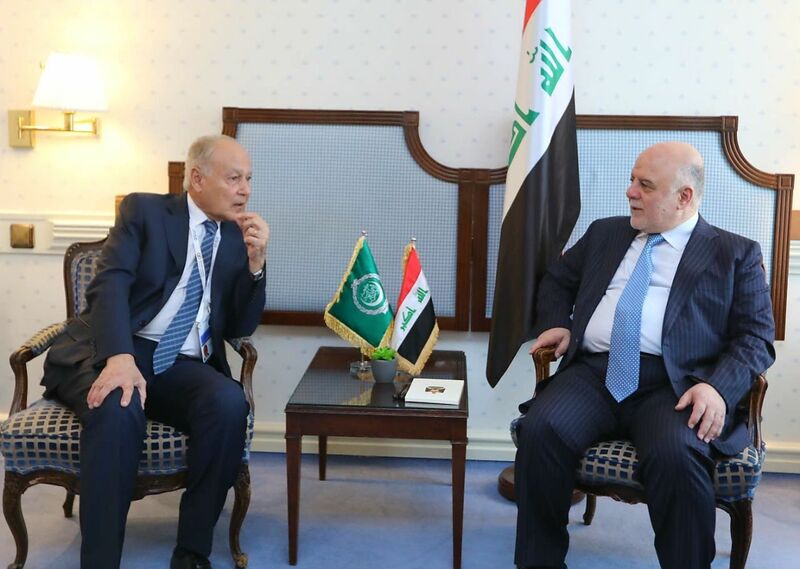 This came during; His Excellency Dr.Al-Abadi has received, at his residence in Munich Sunday morning, Secretary General of the Arab League, Mr. Ahmed Aboul Gheit. They have discussed the situation in the region, the crisis in Syria and the importance of activating the role of the Arab League to achieve the security and stability of Arab countries, preventing the interference in the internal affairs of States and people's choices. Aboul Gheit has commended the success of Iraq and the wise vision of Dr. Haider Al-Abadi in Iraq's triumphant and unity, maintaining the cohesion of his people and the positive role it plays in the region, stressing the Arab League's stand with Iraq, looking forward to it to play a positive and successful role internally and externally for the benefit of Iraq and the region.